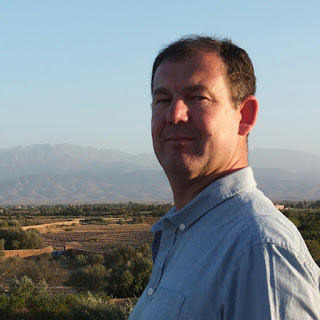 I am delighted that MATT JOHNSON is joining me on my blog today. His debut thriller - Wicked Game - was published by Orenda Books on 15 March 2016. You originally started writing to help with Post Traumatic Stress Disorder. There’s growing research and evidence that writing can significantly improve physical and emotional health. How do you think writing benefited you, as part of your PTSD management? Talking about the causes, effects and symptoms of the condition can be a very emotional experience, sometimes overwhelmingly so. But it is a way of achieving acceptance and bringing unconscious memory under control. So, the more you talk about it, the less it upsets and the less of a burden it becomes. Writing is a way of helping someone who really struggles to express themselves verbally, either through lack of the words to articulate their experiences or through being overwhelmed when trying to speak about them. Writing gets you to focus and to record. It acts in a cathartic way and seems to work as if it were the equivalent benefit achieved by talking, but multiplied many times. Wicked Game was originally self-published. Now it’s published by Orenda Books. Do you think you have grown as a writer through your experiences of the different publishing processes? If so, how? I often read comments by self-published authors regarding the more satisfactory level of control they have over the whole process concerning the production, the design and the marketing of their book. I respect that, but for me, I have found that signing with a highly motivated and skilled publisher has brought huge dividends. I was given the opportunity to work with an editing team who were very instrumental in developing me as a writer. I have learned a great deal from them. My writing is raw, it’s me, and that means I have a style of my own, but I still had a lot to learn to polish it up ready for the commercial market. The Orenda team gave me a fast-track education in creative writing and I freely admit that the end result is a much improved version of my original story. Other things have come about as well. The jacket design for the book was incredible and had no input from me, and that is a good thing, as I now realise just how creative are the people that produced such work. In terms of marketing, the book has reached vendors, readers and places that I would have never thought possible and which I could have never achieved when self-published. Also, I’ve been interviewed on radio and television, invited to speak at numerous literary events and festivals, and had a launch at Waterstones flagship store with over a hundred people in attendance. All this has only been possible because of the professionalism and experience of Orenda. Wicked Game is an action thriller based on your own experiences. How easy/challenging has it been to write a book that’s so ‘close to home’? Not too easy. But, if writing a book was easy, everyone would be doing it! Add to that the emotional engagement that my writing produces and, yes, I sometimes struggle and I do find that there are times when I have to stop and take a break. I do research, but a lot of my writing draws on personal experience. As I write, memories return of times long-forgotten and some of those recollections are not too pleasant. But, I think that emotion helps me write and I hope it comes through in the result. Wicked Game has been long-listed for the CWA John Creasy New Blood Dagger Award 2016. What was the first thing that went through your mind when your name was announced? You were there! It caught me completely by surprise. Firstly because there were hundreds of entries and, secondly because I thought the book had been nominated under a different category. So, when the ‘debut’ author list didn’t include me, I thought that was it. So, there I was, chatting to author Zoe Sharp and not really paying attention when the announcer read out my name and the name of the book. My first feelings were ones of surprise, then slightly confused when so many people came up to me to extend their congratulations. Within minutes, I had a text from Peter James. I then began to realise that this might be quite significant – let’s not forget that I’ve only been exposed to the publishing world for a couple of months – and so I went and gave Karen, my publisher, a kiss. Wicked Game was the result of a team effort and I felt pleased on her behalf, as I know how much she ploughs into her authors and it was nice to also see the name of Orenda up on the screen as well. Looking at your website, you’ve had a busy year so far, with your book launch, blog tour, events, book festivals, interviews and articles. So what’s coming up next? And do you get much free time? With the amount of hobbies and interests I have, I need free time, believe me! I watch very little television, preferring to read and to listen to the radio and the hobbies range from riding the Harley through to bee-keeping. I’m retired from full-time work now, so writing is my priority. Most of my working day is spent on social media, research and writing. I have two more scheduled literary festivals, at Crickhowell and Berwick, and an interview at Harrogate Crimefest to do with Peter James for his new YouTube channel. I now do talks with Armed Services Veterans at Combat Stress, so I’m also looking forward to doing these and I’ve just been taken on by a public-speaking agency to do talks. The audio book of Wicked Game comes out in August so I’m just about to record an interview for that production as well. And, of course, I am writing. Book two, the sequel to Wicked Game, is now with Orenda for editing. I am 20K words into my third. This will complete the trilogy that is the story of Robert Finlay, but he will be back, trust me! Describe your writing style in 10 words or less? Raw, authentic and, to quote Ran Fiennes, engaging. Looking back to your teenage years, what advice would you give your younger self? I would tell myself to study now, chase the girls later. I really should have focused on my studies more than I did. I would ignore the advice, of course. Teenagers need to learn for themselves and, with the way my life has panned out, I’ve no complaints. If you were writing a book about your own life, what would the title be? That’s very kind – calling me an author. Just a few short months ago I wouldn’t dared have whispered the word. I’m very new to this, so I think the best advice I could pass on would be two pieces of advice that were given to me. 1. Don’t even think about becoming an author if you don’t enjoy writing. You’ll spend many hours at the keyboard, suffer self-doubt and frustration and experience seemingly endless rejections. If you don’t enjoy the act of writing, you will never stick it. 2. Writing is a craft that you can start at any age – don’t be in a hurry. Many authors start quite late in life as it is only by that time that they have something within them worth writing about. And lastly, why should people read Wicked Game? ‘Wicked Game’ will appeal to many readers as it is a story about family secrets. Every family has one, some have many, but not every family faces the threat of being murdered if it is exposed. Robert Finlay is a husband with a secret. It is hidden from not just his family, but from almost everybody he is now connected to. But secrets are like seeds. Although they can stay buried for a long time, eventually they send up shoots, surface, and give themselves away. 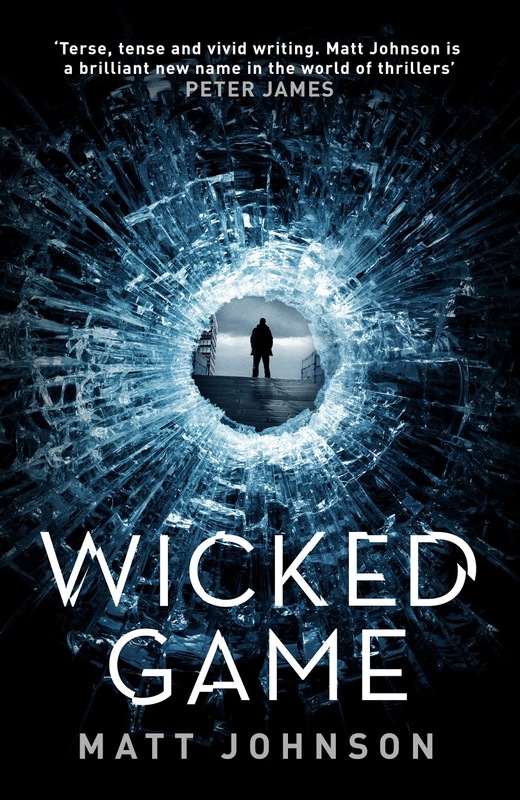 And so begins ‘Wicked Game’, a game of cat and mouse, where Finlay’s family, his friends, indeed his very existence is under threat from a determined and unidentified enemy. An enemy that will stop at nothing to see them dead. Matt Johnson is not a typical author. He is not formally trained, finished his English language education at the age of sixteen and only started writing to help with treatment for Post Traumatic Stress problems. Writing helped Matt come to terms with and manage his PTSD. Matt Johnson started writing crime scene reports as a detective, then recollections as part of his PTSD therapy, before turning his hand to thriller writing. A quiet, contemporary countryman, Matt lives in a converted barn and, on a daily basis, exercises his four gundogs. A keen biker, he rides a ’99 Harley Fatboy and in his spare time scuba dives and keeps bees. 2001. Age is catching up with Robert Finlay, a police officer on the Royalty Protection team based in London. He s looking forward to returning to uniform policing and a less stressful life with his new family. But fate has other plans. Finlay's deeply traumatic, carefully concealed past is about to return to haunt him. A policeman is killed by a bomb blast, and a second is gunned down in his own driveway. Both of the murdered men were former Army colleagues from Finlay's own SAS regiment, and in a series of explosive events, it becomes clear that he is not the ordinary man that his colleagues, friends and new family think he is. And so begins a game of cat and mouse a wicked game in which Finlay is the target, forced to test his long-buried skills in a fight against a determined and unidentified enemy. 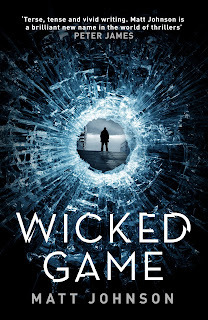 Find Wicked Game on Amazon UK here.